Iâ€™m at that point in my life where I freak out every time I see a grey hair and then equally freak out when hair dye doesnâ€™t cover them completely. Iâ€™m also very aware that itâ€™s about that time for wrinkles to start appearing, so I make sure I take especially good care of my face and skin. Ladies, remember when youâ€™re moisturizing your face, that your neck is technically part of your head too. The only times that Iâ€™ve ever paid for expensive facials have been on vacations and I may have gotten 3 or 4 my entire 29 years on the planet. Are they good for you? Yes. Are they necessary? No. Why break the bank when you can easily put warm towels and cream on your face at home? Iâ€™ve gone through so many brands and finally found some pretty awesome, naturally based products that Iâ€™ve been using almost exclusively for a year. Let me tell you, my face has never been so radiant and my body is equally has smooth and soft. On a whim, I bought a $99 consultant kit from Perfectly Posh because I wanted to try a bunch of their products for a good price. (Itâ€™s basically a $400 value) I loved everything in the kit, so Iâ€™ve stuck with the brand. Top 5 reasons why I love it: Amazing results, affordable high-end, natural ingredients, a little goes a long way, and their super fun packaging. 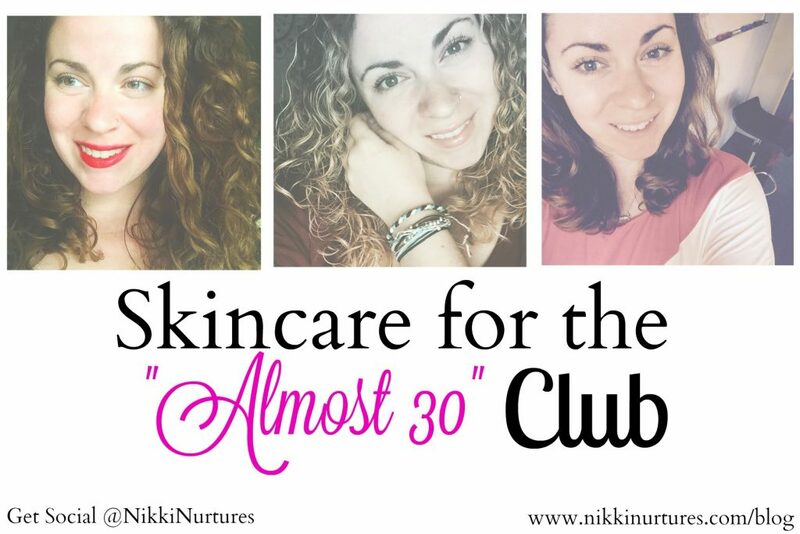 Here are my top skincare picks for the â€œAlmost 30â€ club! Skin-brightening turmeric will give your face the Midas touch while shea, milk, and honey calms, soothes, and hydrates. 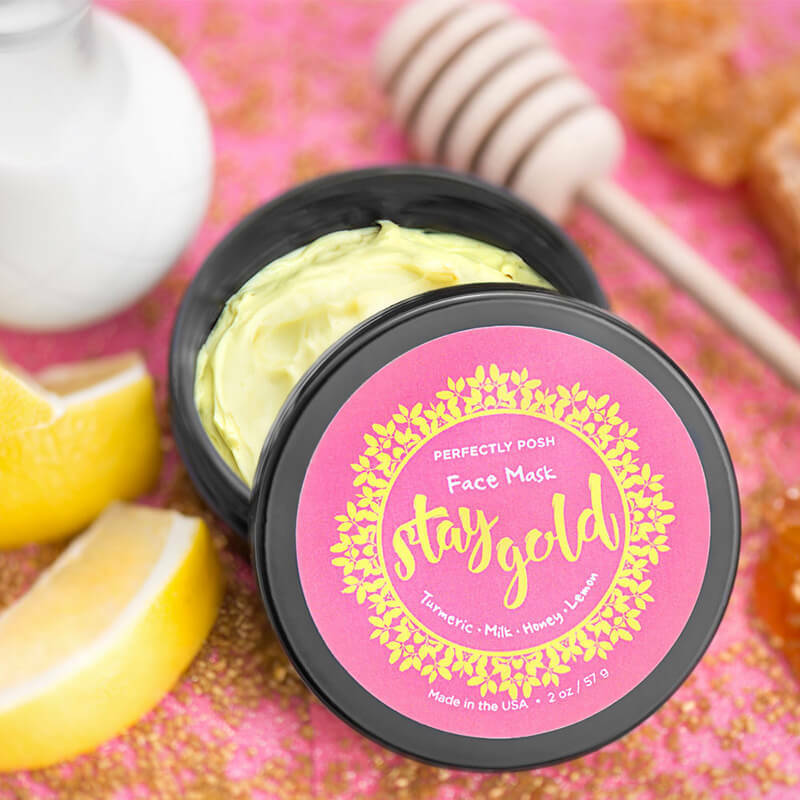 STAY GOLD mask is perfect for soothing inflammation and evening your skin tone. 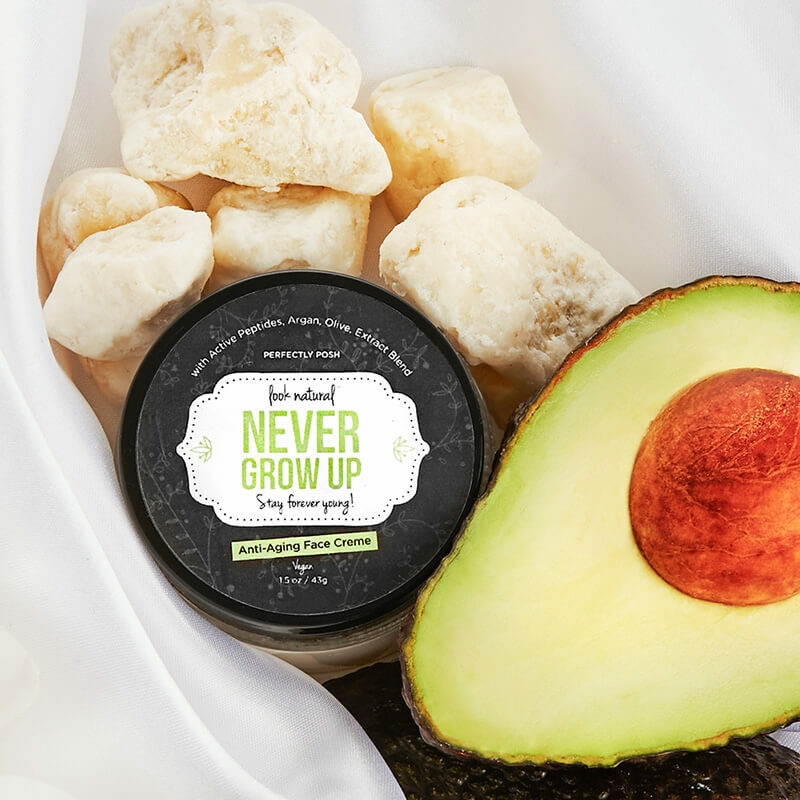 Pamper the delicate skin of your face with NEVER GROW UP; natural oils, shea butter, and botanical extracts that replenish moisture, helping skin recover and retain a vibrant, healthy radiance. 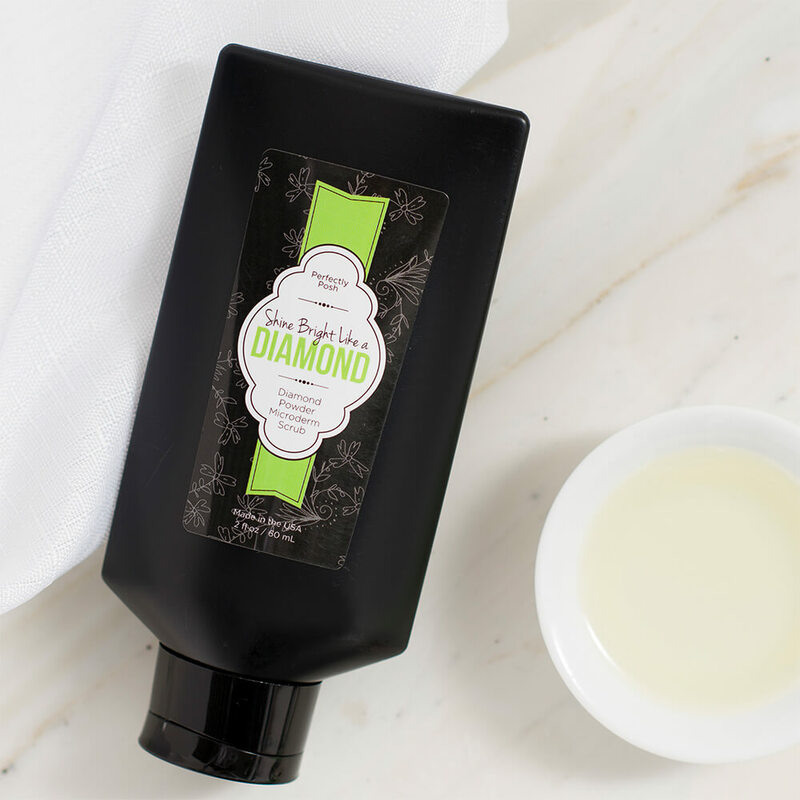 Natural oils, aloe vera, caffeine, and vitamin B3 help to stimulate collagen production, even skin tone, and tighten the delicate skin of the face. 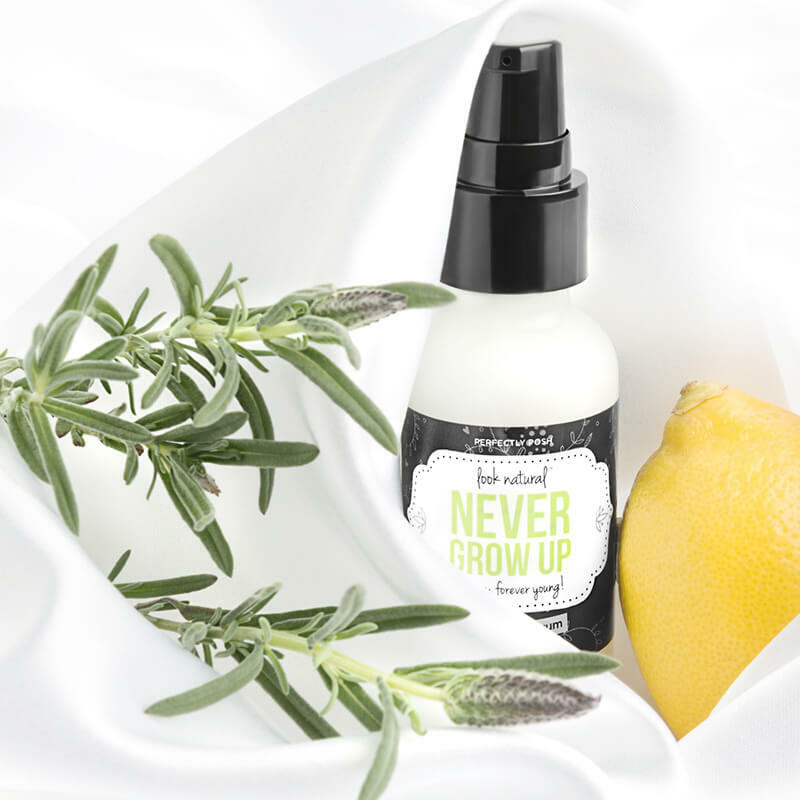 Watch crowsâ€™ feet and frown lines diminish when using NEVER GROW UP SERUM. 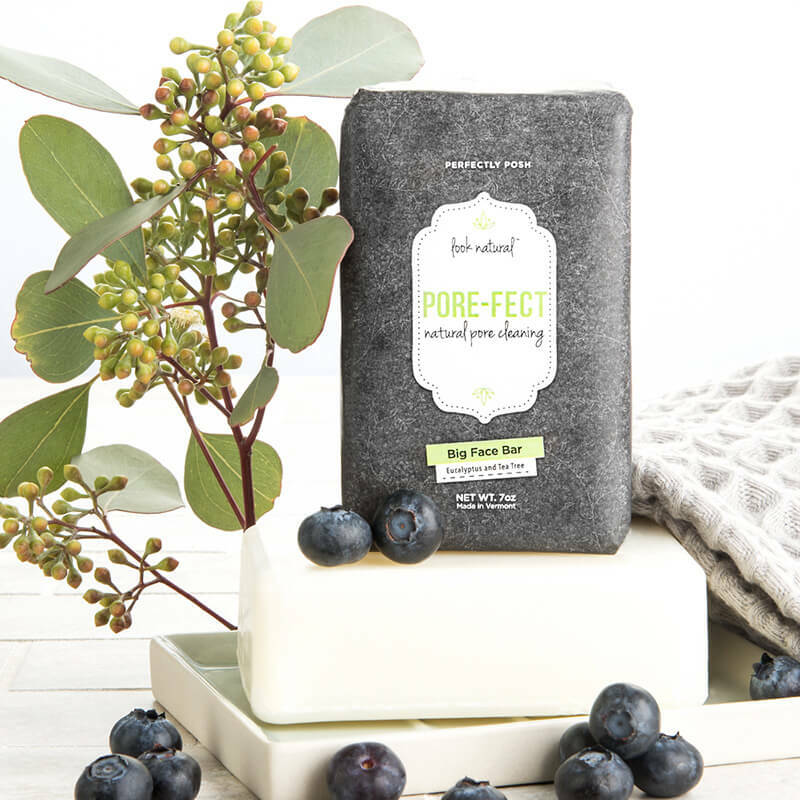 PORE-FECT is a bar cleanser perfect for every day use and all skin types. Meadowsweet root, tea tree, eucalyptus, and blueberry deep clean pores and refresh skin while gently washing and nourishing. Another little note: Itâ€™s really important to wash makeup off your face. Donâ€™t let it clog your pores and ruin your complexion. If youâ€™re too tired to wash the smoky eye and contouring off, invest in some makeup remover towels. I keep a pack of Burtâ€™s Bees Cleansing Cloths in my makeup bag for those lazy nights. I might be almost 30, but I plan on looking 21 for as long as I can! I join the 30 Club in November. How about you? I’m turning the big 3o in November so I’m conscious about my skin. I completely agree with you that exfoliation is a must.